Such juvenile and bizarre behavior has giving Red, White and Blue Americans a bad taste in their mouths for what was suppose to be Americas shopping center. Since Walmart drew this attention to itself, let’s really call them out and get to the root cause of all this anti-American drama. The tentacles of the left once again showed themselves in a pathetic and desperate measure to indoctrinate the minds of the ignorant using symbolism as their vice. The most egregious criminal and nefarious acts against Americans and our 45th President of the United States Mr Donald J Trump are understated by the media because they too are complacent in the evils of the deep state. For the record, their time is running out and soon President Trump will be holding those treasonous accountable. The attacks against us are all encompassing, they have been strategically weaponized by corporations such as Walmart in bed with a corrupt Obama administration, hence the reason the left is attacking our current POTUS because he is calling them out. Walmart drew outrage this 4th of July holiday week after it was discovered that the superstore was selling “Impeach 45” apparel on its website. 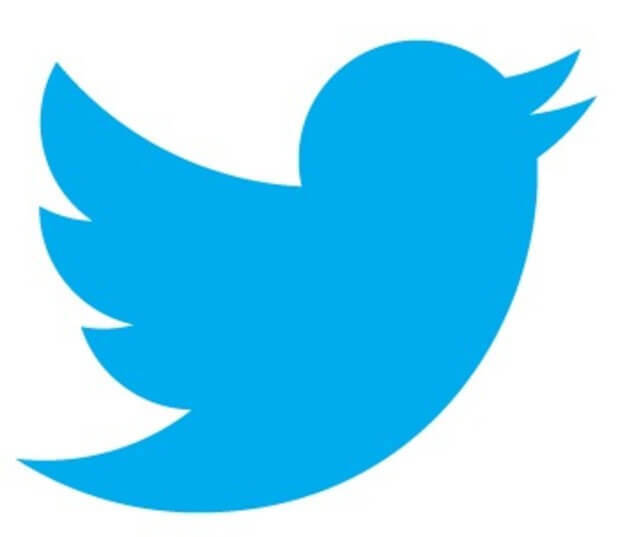 The outcry sparked a #BoycottWalmart trend on Twitter as users expressed their distaste for Walmart promoting the impeachment of President Trump, echoing some Congressional Democrats. Old Glory is the company that sells the “Impeach 45” apparel and it’s not the only one. A quick search on Walmart.com revealed three other companies selling Trump impeachment merchandise. A search for “Make America Great Again” apparel yielded plenty of hats, T-shirts and coffee mugs as well. What motives and connections would Walmart have to slander and ridicule our 45th POTUS who is accomplishing all great things, turning America around again to a thriving country? 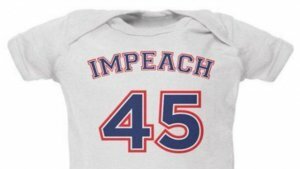 Why would Walmart create and sell baby garments and other Anti American merchandise soliciting “impeach #45”? 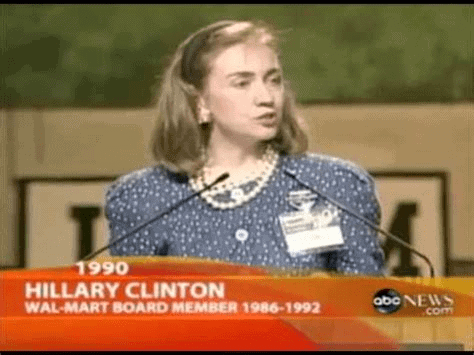 Did you know that Hillary Clinton served on the Board of Walmart for many years before she was an elected official? That’s right!! Clinton Remained Silent As Wal-Mart Fought Unions in six years as a member of the Wal-Mart board of directors between 1986 and 1992, Hillary Clinton remained silent as the world’s largest retailer waged a major campaign against labor unions seeking to represent store workers. Did you also know that Walmart and Department of Homeland Security formed a Partnership? Well why would you know that the Government formed a business Partnership with an American shopping center? Sounds like a Communist Agenda doesn’t it? Well…On December 6, 2010, it was announced that Janet Napolitano, Secretary for DHS was expanding her reach by creating a “Partnership” with Walmart. The video below is a message from Janet Napolitano that played on TV Screens in Wal-Mart stores, as a “public service announcement,” to ask customers to report suspicious activity to a Wal-Mart Manager. The rationale is that national security begins at home. Napolitano “compares the undertaking to the Cold War fight against communists”. No wonder our Colleges are in such deep trouble with the indoctrination process of fresh young minds via the Nazi criminals who served in our government under the Obama administration…Time to clean out some serious swamp and hold Janet Napolitano and her cronies accountable for the obtuse agenda they planed against Americas citizens. (CNN) — Walmart will join the Department of Homeland Security in a program called “If You See Something, Say Something” which encourages the American public to take an active role in ensuring the safety and security of the nation, DHS said Monday. “Homeland security starts with hometown security, and each of us plays a critical role in keeping our country and communities safe,” Secretary Janet Napolitano said as she thanked Walmart and the more than 320 stores who joined the national campaign Monday. Participating stores, eventually including 588 from 27 states, will play a short video message at select checkout locations to remind shoppers to contact local law enforcement to report suspicious activity, said a DHS statement. “This partnership will help millions of shoppers across the nation identify and report indicators of terrorism, crime and other threats to law enforcement authorities,” Napolitano said. The “If You See Something, Say Something” campaign was originally implemented by New York City’s Metropolitan Transportation Authority as a simple and effective program that engages the public and key front-line employees to report indicators of terrorism, crime and other threats to authorities, according to the DHS statement. The program has already partnered with the Mall of America, the American Hotel & Lodging Association, Amtrak, the Washington Metropolitan Area Transit Authority, sports and general aviation industries, and other organizations across the country, DHS said. According to this video which exposes and covers 5 unusual facts about Walmart store closings. Walmart has had numerous contracts with the U.S. government. One of these goes back to the early 2000s, when Walmart began a cooperative with the U.S. Defense Department on RFID technology. With the help of the DoD, Walmart has been at the forefront of biometric and RFID technology. In 2012-2013, Walmart introduced SoloHealth stations into their stores and announced that it was an Obamacare, also known as the Affordable Care Act, initiative. Most people overlooked that the SoloHealth stations came equipped with RFID scanning technology. Walmart was a pilot for these SoloHealth Stations, and collected data on thousands of people as a part of the test run. In the past, Walmart had announced that it will be closing many stores as a part of portfolio management, but in 2015 their explanation was different. They closed 5 stores because of “plumbing problems.” In 2016, 10 percent of stores in Brazil closed. Brazil is currently in an economic recession that is quickening to depression. Many of the closed stores in the U.S. have been gutted for some odd reason; all the products have been removed. In March 2016, Google accidentally leaked a map of the United States showing all Walmart stores permanently closed. (Damaging information that has caught the light of day regarding the illegal involvement of the “deep state” and Eric Schmidt the Executive of Google who had convoluted ties to the former head of the DHS with unbelievable acts, Unconstitutional and UnAmerican). The media did not cover this because they too are guilty of their involvement of the programming of false narratives to the American public, Yet,it was covered by a local Arkansas newspaper, interesting, maybe because the former DHS Head, Jane Holl Lute who shadowed Janet Napolitano, was then promoted to head of Cyber security by former President Obama and this office had Arkansas ties. (Jane Holl Lute was also connected with Googles Eric Schmidt, who frequently visited N.Korea, the home of Kim Jung Ung, Yes the “deep state” was very busy during these times, as well as once trusted government officials). Google claimed the map was an accident, but it is strange considering the only businesses shown to be “permanently closed” were Walmart supercenters, neighborhood markets, and express stores. 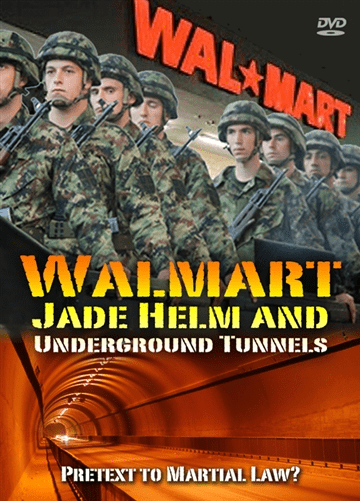 Also [allegedly], there is some evidence that Walmart stores are a part of a system of tunnels underneath the United States. This topic was not addressed in this video. Knowing all of the past contracts that Walmart has with the U.S. government, are we now seeing Walmart stores transition to their true purpose? Soon, very soon, the uninformed and unenlightened American will find out what Corporations have been corrupted and weaponized by the “deep state” against us and our sovereign way of life. Patriotic Americans are loyal to the current Trump administration as the 45th President works for the forgotten everyday American. Walmart proclaims they are working to control the outrage that was sparked after pro-Trump activists stumbled upon clothing reading “Impeach 45” on the company’s website. A Special Thank you to President Donald J Trump, and his Team working diligently behind the scenes. Please know, American patriots stand beside you in your fight to rid the evil from our Country. We salute you sir.